Preparation. We do know that certain matters can be tricky, such as choosing the right colour theme, the right song for the first dance, the right dress and most of all… the right location! Thus, here a list of 10 amazing and famous venues to take inspiration from! 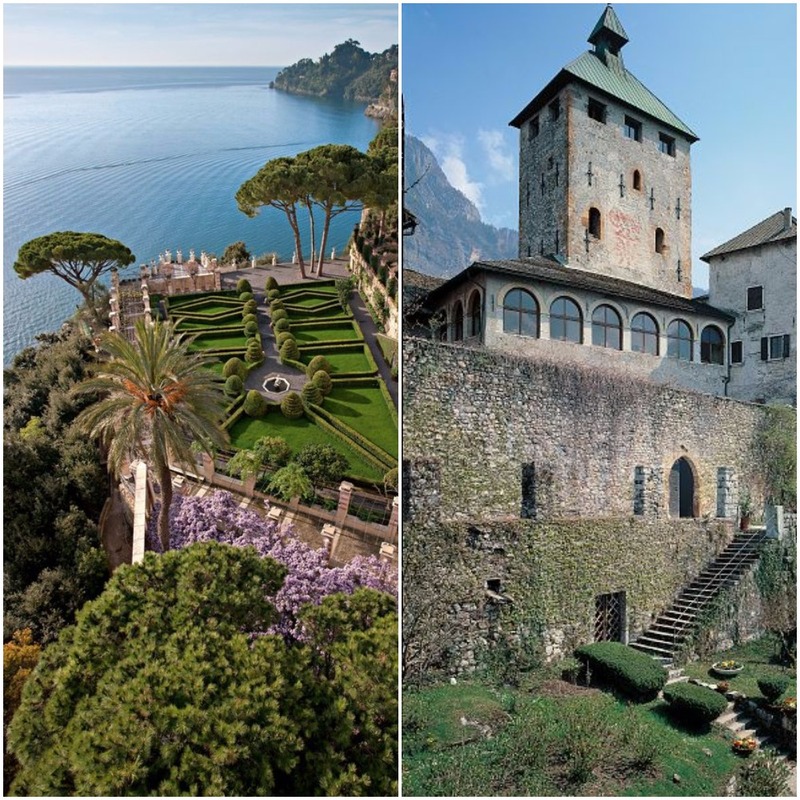 This venue on the dreamy Lake Como is a FAI Property. 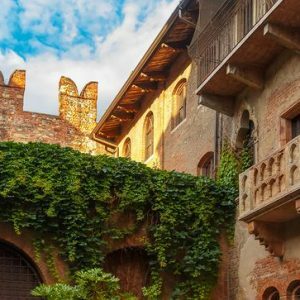 Located on the shores of one of the most beautiful and inspiring Lake of Italy, this historic residence dates back to the 12th Century and boasts an incredible palmarès of Guests… From Silvio Pellico to the Cast of Star Wars and Casino Royale. The Gardens are now the most attractive parts of the Venue and they well deserve it! However, we would like you to imagine your “I Do” in the breathless frame of the Loggia, extraordinary overlooking the Lake after your walk from the Pier… Not even James Bond would then compete!! 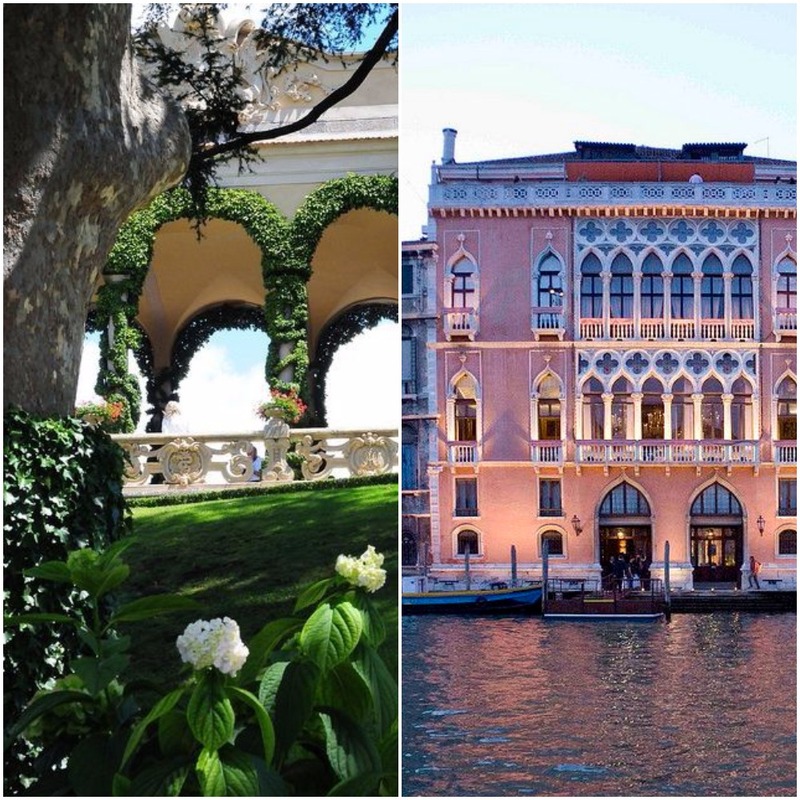 Erected in the 15th Century, this Venetian Palace is nothing but Glam!!! Overlooking the Laguna, between the famous Ponte di Rialto and the Ca’ Foscari’s Vault can be accessible by boat or by gondolas from the incredible and romantic Grand Canal. 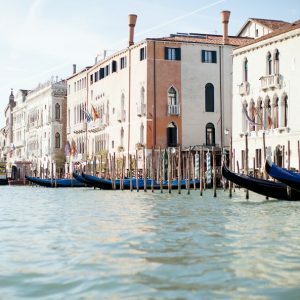 Venice is known worldwide as one of the most touristic Italian cities, nevertheless it can be perfect for glamorous couples willing to get married in a unique atmosphere. There is no need to be George Clooney to get married in this ancient and characteristic Palace!! 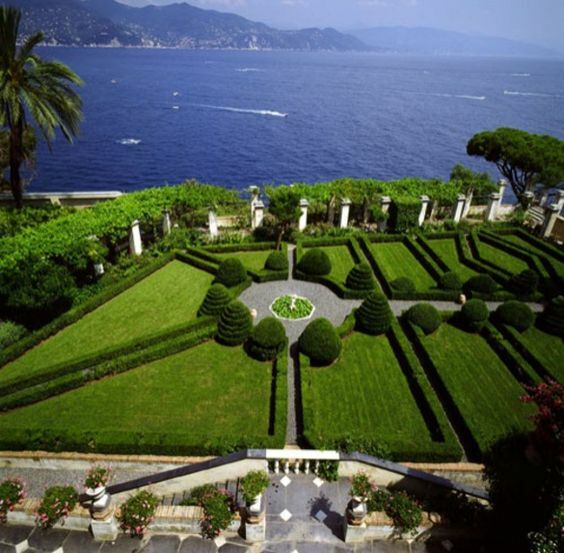 Originally built as a Monastery, this Villa is located in one of the most glamorous and famous Italian location: Portofino. The city is well known for its glam and chic streets and for the beautiful sea. La Cervara offers you the possibility to mingle privacy and stunning landscapes in the peaceful atmosphere of the Gardens overlooking the famous Mar Ligure. Imagine celebrating your love on the panoramic private and peaceful terrace of this Villa…aww! Placed in the breathless frame of the Dolomites, near Trento, the Castle dates back to the 8th Century, built by the Lombards to defence from the Barbarian people. It underwent throw several restoration and it is now one of the most sought after location to celebrate memorable weddings. The two courtyards together with the gardens can make the difference when planning your outdoor wedding. 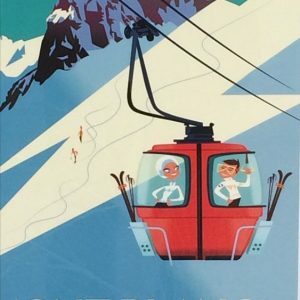 Even though it is not an usual destination we can assure you that the atmosphere and the ambience of the famous Italian Mountains along with the Castle will make your guests feel astonished! 60 km far from Florence and Siena, nestled in the Tuscan countryside this property originally run as an agritourism, soon become a member of the Relais & Chateaux circuit. Not only it is a prestigious location, it also guarantee you the best Tuscan experience you can ever go through. Enjoy with your guests the gardens and the exclusive swimming pool, as well as the fine gastronomy and the incredible landscapes making you feel part of the famous, chic and rustic Tuscan atmosphere. Imagine being on a terrace on the top of Gianicolo Hill, overlooking the Tiber and the ‘Città Eterna’… well, you must be in Villa Aurelia. This property underwent through a great restauration lasted three years that made it become one of the most valued venue of centre Italy. You can share your day with your guests in the extensive gardens or inside the Villa, in one of the several spaces it offers you. Always rent on exclusive use to make you enjoy your dreamy day in the most private way possible. Let yourself be overwhelmed and charmed by the Roman scent that has always inspired poets, filmmakers and artists. 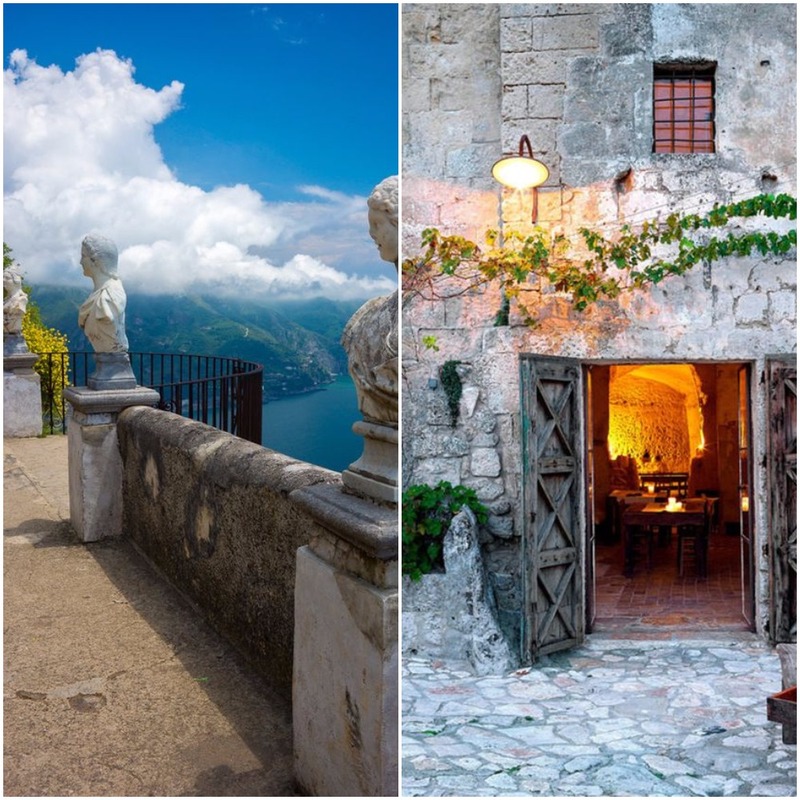 Words may not be enough to describe the poetry and the feelings this Villa in the Amalfi Coast offers you. The first traces of this historic residence date back to the 11th Century. During the years, The Acconciajoco and Fusco Families have owned it, the latter related to the Pittis and D’Angiòs from Florence and Naples. The Villa boasts one of the most incredible and stunning terrace you would ever see: The Infinity Terrace, overlooking on the Amalfi Coast makes you feel breathless. 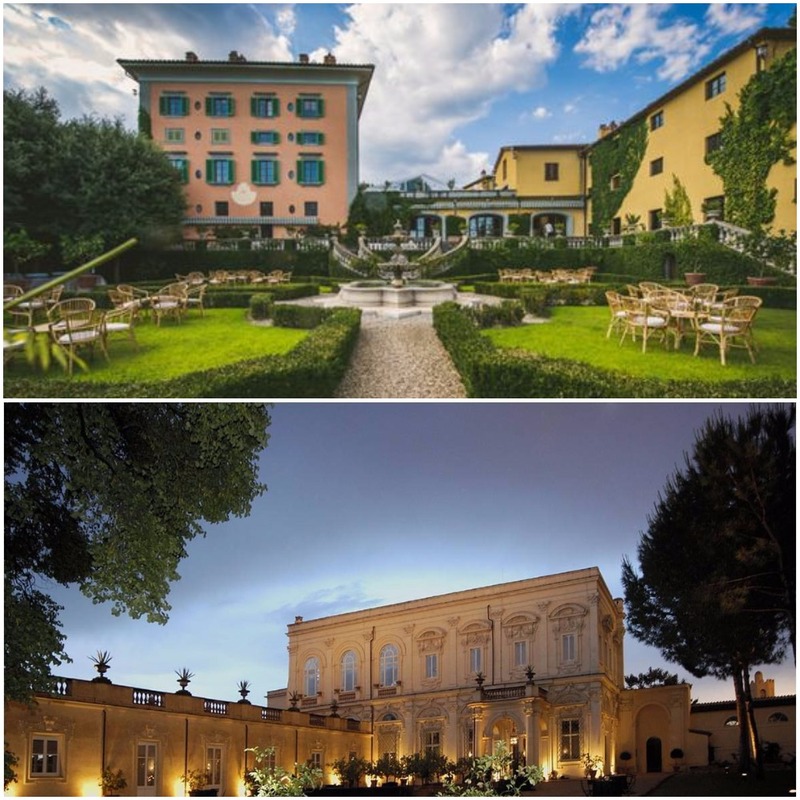 The Gardens are visited every day from a multitude of tourists and the Hotel along with its Gourmet Restaurant offers you the highest Italian quality. Surreal, timeless and incredibly charming. You will not resist the allure of this location. Literally nestled in the ancient stones, emblem of the city, this property can offer you and your guests an amazing experience as well as a relaxing and exclusive stay. Celebrate your love in the natural and stunning frame of Matera, where you can taste the real southern flavour surrounded by the traces of the past. The restaurant will also combine for you the tradition together with the innovative cuisine. We assure you will not be disappointed! 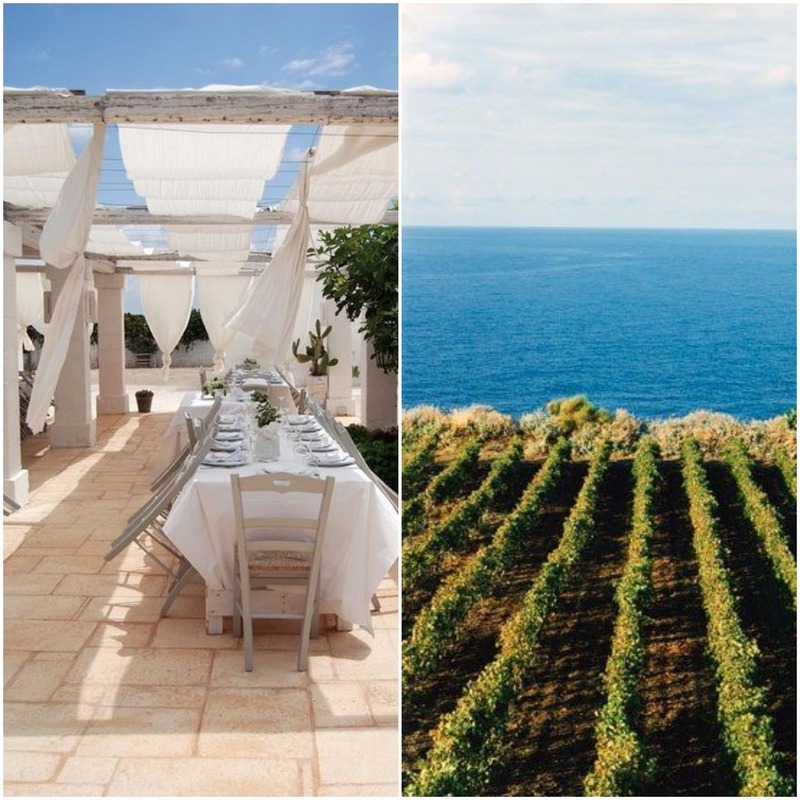 Southern perfumes and sea breeze will be the feature of your dreamy day in this Masseria in Apulia, near Taranto. Feel the atmosphere of the folkloristic South, with the white walls and the kitchen smell. During the years, Masseria Potenti has hosted a huge number of event, not hard to believe the reason why! The unique and fine ambience and the traditional atmosphere together with the sea and the landscapes contribute to the appeal this place has always had. Located in Salina, one of the seven “sisters” of the Eolie islands, in Sicily, this place is nothing but magical. 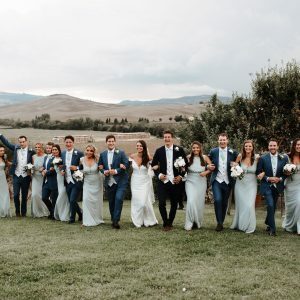 Originally ideated as a vineyard, nowadays it is a sought after resort, organizing events, meetings, workshops, yoga sessions and why not… incredible weddings! In a familiar but cured and fine ambience, the family runs this resort to give you the best Sicilian experience ever between incredible cuisine and stunning landscapes… Share your day with your guests at Capofaro and leave them breathless!